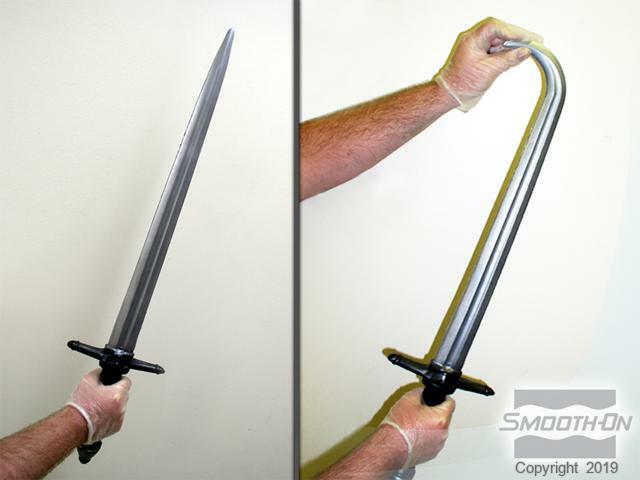 Production companies regularly contact Smooth-On looking for an easy way to reproduce multiple prop weapons for stage and screen. These props are often used by extras in large battle scenes and must be easy to carry and safe to use. 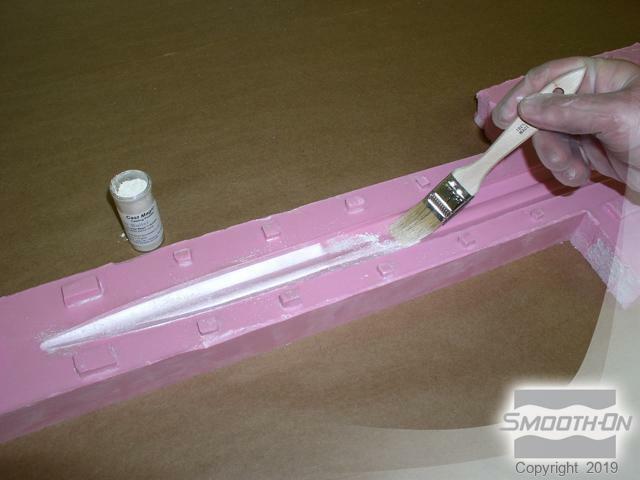 Smooth-On's FlexFoam-iT!® expanding flexible foams make an economical and safe choice. 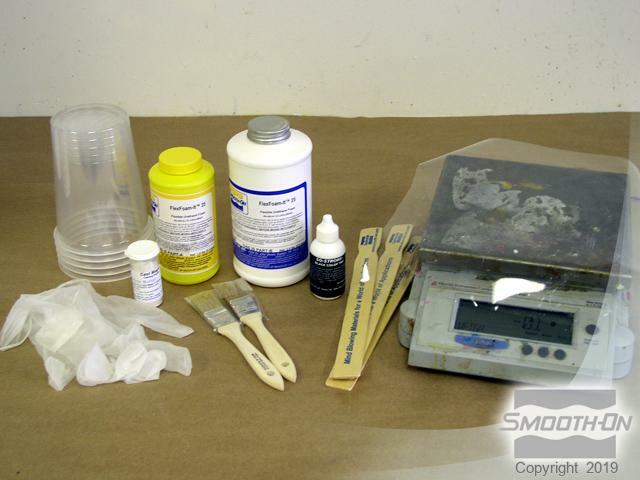 This tutorial shows how to cast a FlexFoam-iT! 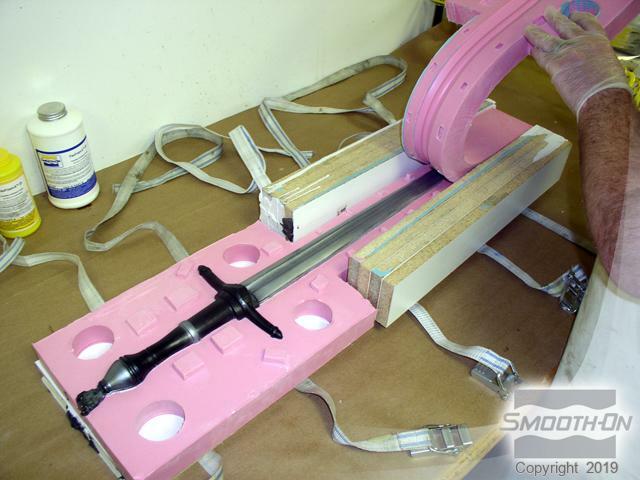 25 stunt prop sword into a Mold Max® 30 silicone mold. FlexFoam-iT! 25 develops a tough outer skin making it ideal for the finished piece. 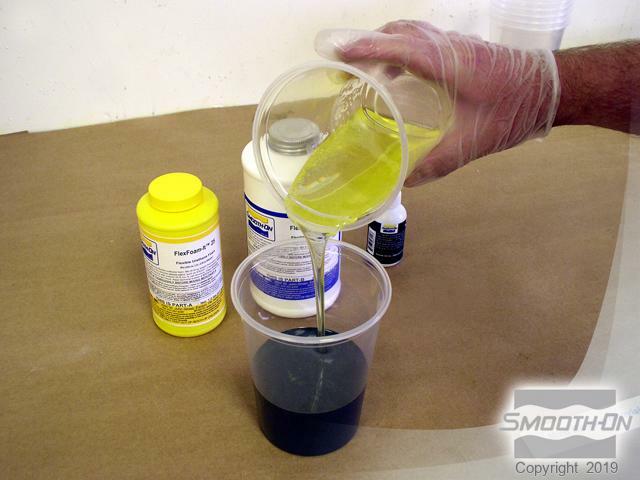 Smooth-On's Cast Magic® powders are a fast and easy way to add color and depth to any casting. 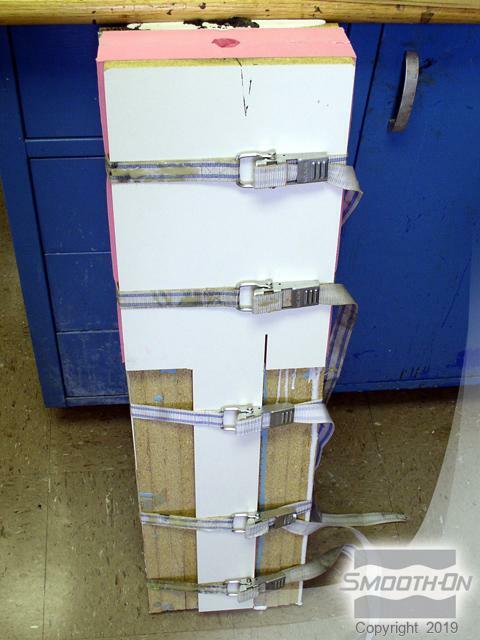 The completed prop is lightweight, flexible and safe. 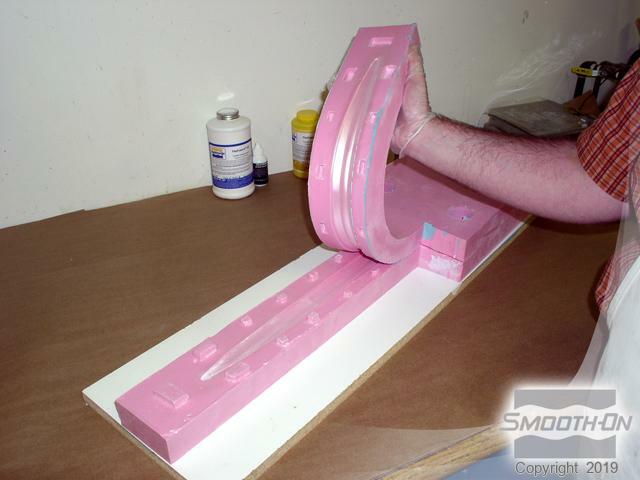 Begin by brushing Cast Magic® Silver Bullet powder onto the mold surface and carefully close the mold. 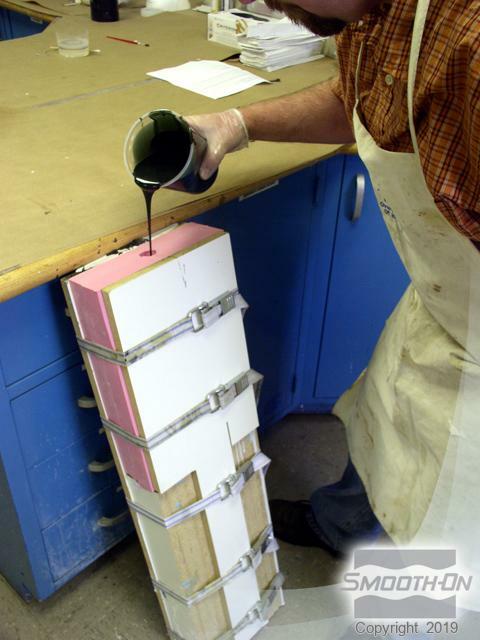 Then, secure the mold with adjustable straps and turn the mold on its side with the pour spout facing up. 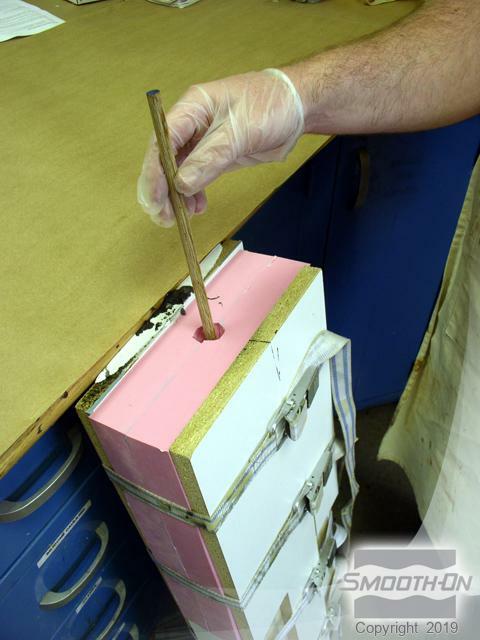 Insert a wooden dowel into the mold to give the final piece added strength. 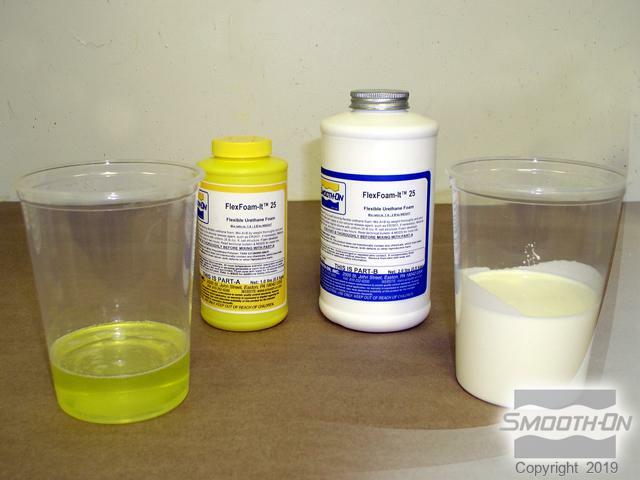 Measure Parts A and Part B (FlexFoam-iT!® 25 is measured 1A:2B by weight.). 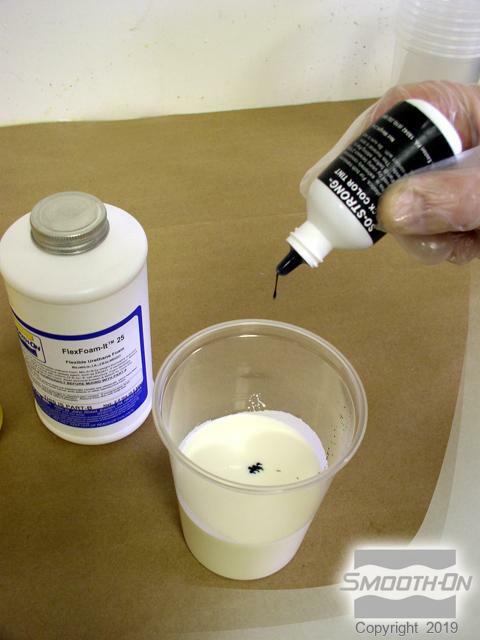 Add a few drops of SO-Strong® Black to Part B and mix thoroughly. Combine FlexFoam-iT! 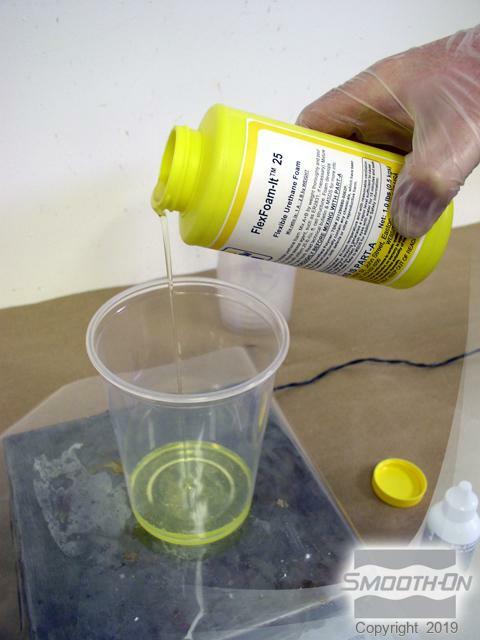 Part A with Part B and mix thoroughly, be sure to scrape the sides and bottom of the container. 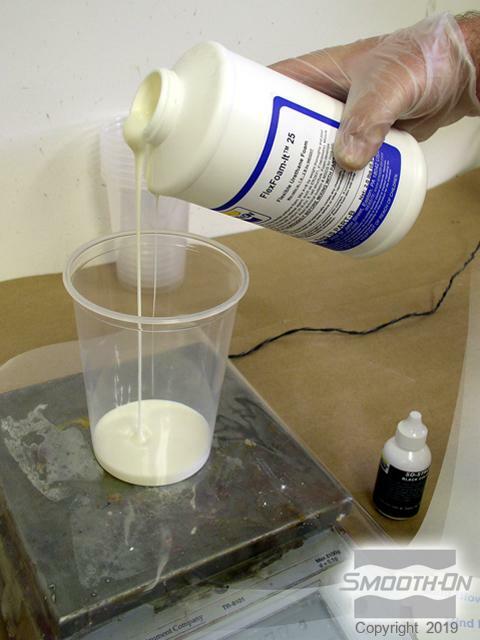 Immediately after mixing, pour material into the mold. 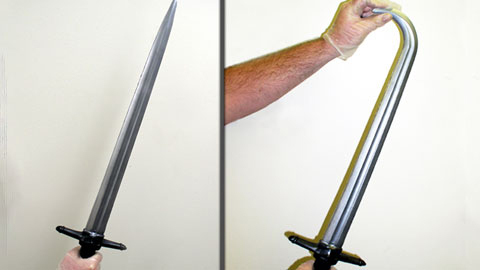 Once fully cured, demold the sword. 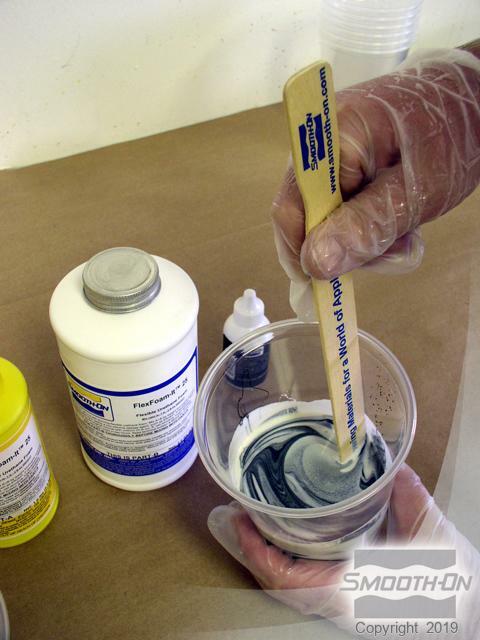 The Cast Magic® powders will bond to the foam as it cures. 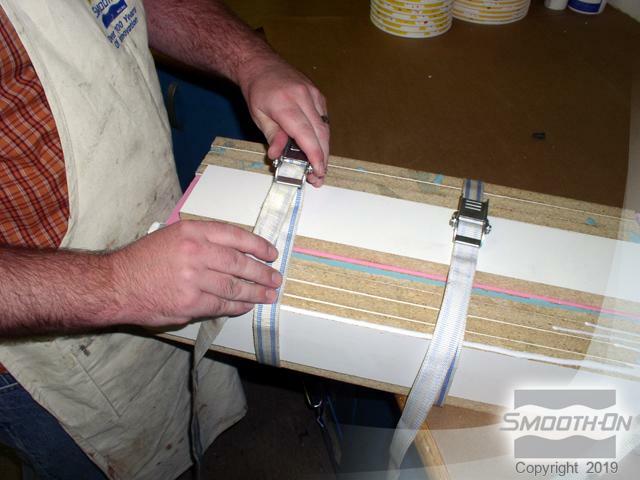 The finished piece is lightweight, durable and safe!